The lowest resistance, lowest leakage, lowest dead space valve. 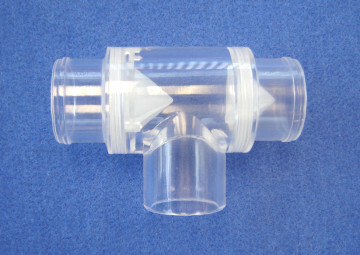 Because the unique tri-cuspid valve diaphragm collapses onto itself and allows nearly straight-through flow, see photo. 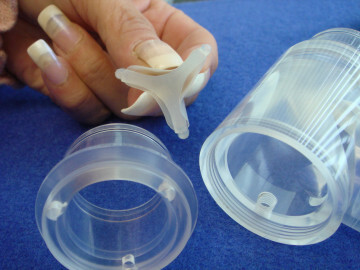 Diaphragm molded of silicone means long life, non-sticking. Nom diameter = 1 inch. To use the K-valve with a face mask, we suggest the V-Mask with K270-V adapter. To order this setup, order the K-Valve, a V-Mask Face Piece, the K270-V adapter and a headgear. We can install gas sampling ports, specify location, such as in body or mouthport.